The end of fussing with earbuds, the end of wrangling a smartphone out of your pocket, the end of distracted cycling. 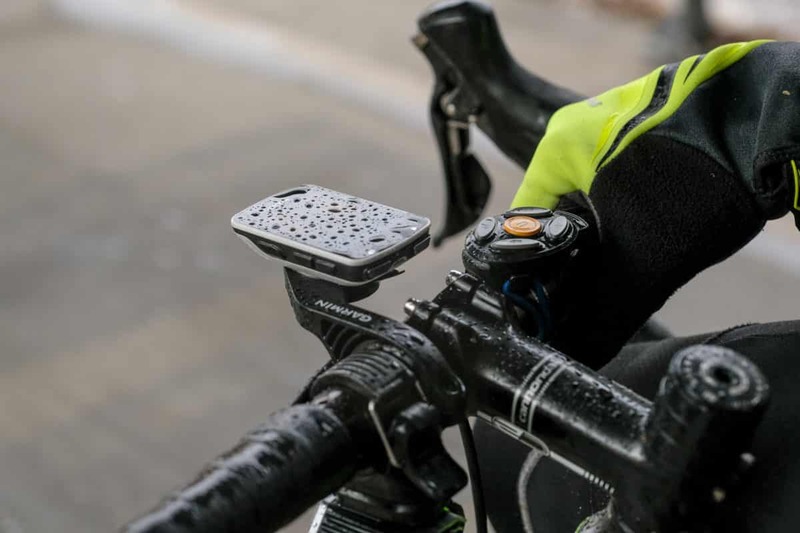 Coros Wearables Inc., a crowdfunded startup from Virginia, has solved a problem for many cyclists, finding a safe way to listen to audio, and take calls while riding. 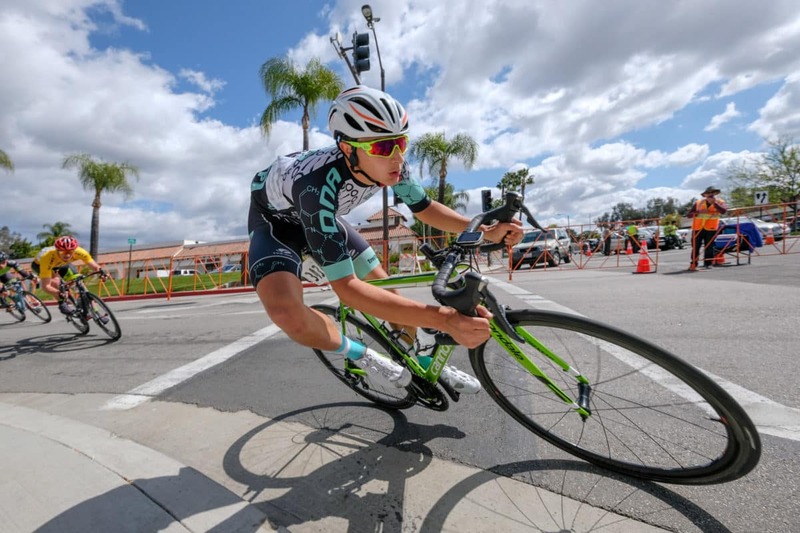 They have created a smart helmet system, integrating bone conduction technology, a wind resistant microphone, and a handlebar mounted remote. 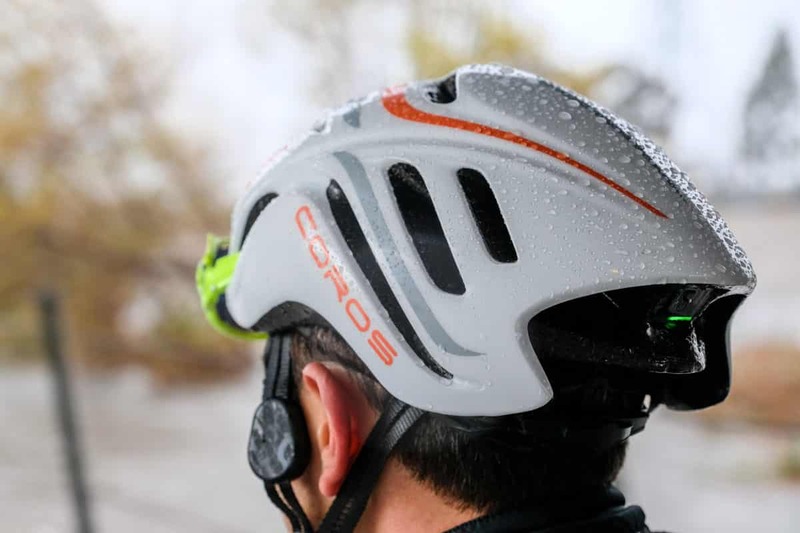 Coros released the Linx Smart Cycling Helmet in 2017. It uses bone conduction technology and a Bluetooth connection to relay audio from your smartphone. Coros’ bone conduction audio sends sound waves from helmet strap mounted speakers through your cheekbones towards your inner ear. With your ear canal and eardrums open, you are more receptive to traffic conditions and ambient noises. 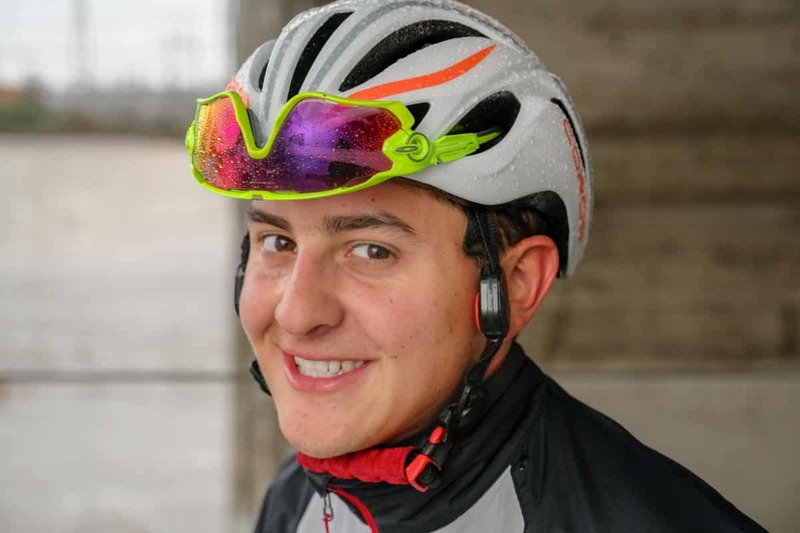 The Linx is designed with a wind resistant microphone located under the lip of the helmet. The placement of the microphone is designed to prevent wind noise while on a call. The key feature of the helmet system is its smart remote, with the ability to take calls, play/pause audio, adjust the volume and skip songs without taking your hands off the bars. Tying the system together is the Coros app, it connects your helmet, smart remote and smartphone. It includes the ability to set, save and share routes, and will guide you with voice navigation, and ride data updates. The most outstanding feature of the Linx is the emergency alert system; it is triggered when the G-sensor in the helmet senses a significant impact, which sends an alert to a designated contact through the Coros app. We also tested Coros’ new Omni Smart Helmet. The helmet includes all of the same features of the Linx. Coros has improved their bone conduction technology and added another safety enhancement. A pair of LED lights wrap from the rear of the helmet to a point they are visible from the side. The hybrid style helmet includes a visor, has 18 vents and is 60 grams lighter than the Linx. The lithium ion battery lasts 8 hours on a single charge. We rolled out and listened to our favorite podcast The Road Bike Action Show. When using earphones wind rush around the ear canal makes listening to music at a safe volume nearly impossible, but the bone conduction technology and the smart remote made adjusting the volume simple. The audio quality surprised us because it is about as good as a pair of Apple earphones. We were able to enjoy the podcast, clearly hear traffic and communicate safely with other cyclists. The Linx is surprisingly comfortable. The helmet has a rear ratchet to dial in the fit, and the pad on the chin strap was a comfy addition. Its modern aero profile and the extra weight is a small trade for the luxury of listening to audio safely. The Omni is not as roadie oriented as the Linx and had us scratching our heads trying to remove the visor. But out on the road, the Omni gave us an enjoyable experience. The second generation bone conduction technology gave us clearer higher quality audio. Activating the LED lights was easy with the Omni specific smart remote. The weight reduction has us anticipating what might be released next from the year-old startup. Two different helmet models, with over $420,000 of crowdsourced investment between them, prelude the future of a fully integrated digital cockpit. The Linx is our favorite of the two, its safety enhancements and sleek profile are the reasons it has been our go-to helmet for the last month. The Omni will flourish with commuters as well as cyclists interested in high visibility. Both helmets perform as advertised, raising the bar for what to expect in a helmet.